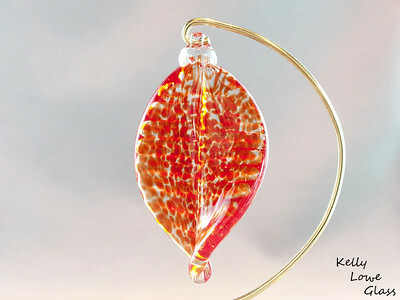 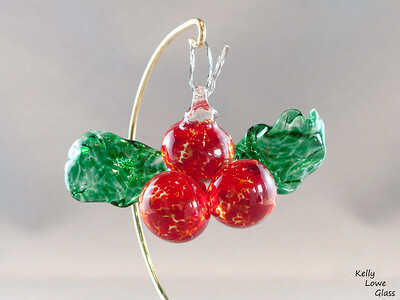 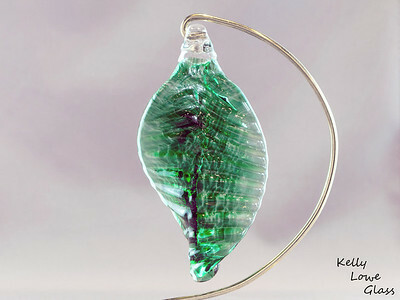 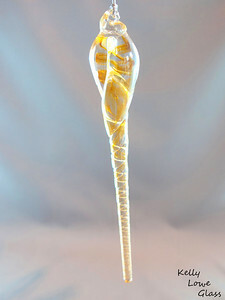 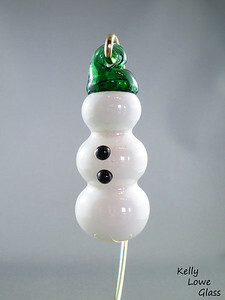 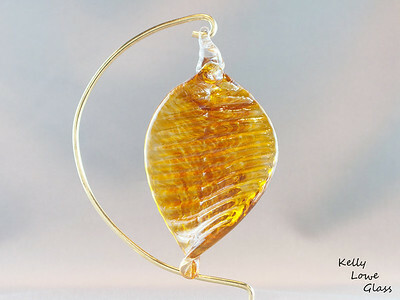 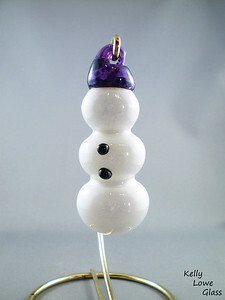 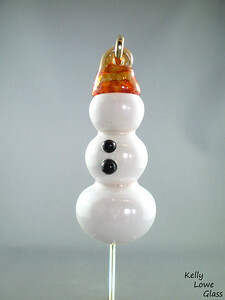 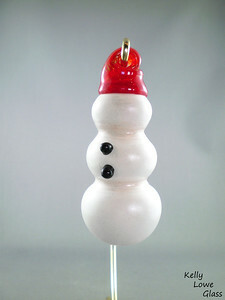 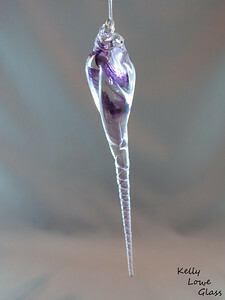 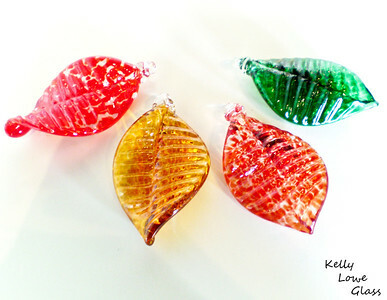 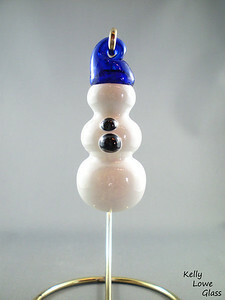 These glass ornaments are fully hand blown or sculpted without the use of any molds or other such aids. 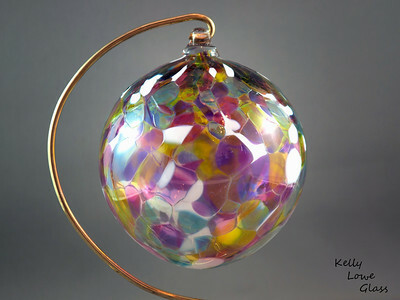 I make ornaments for a variety of occasions: from traditional hand blown Christmas Balls to hanging pumpkins and jack-o'-lanterns meant as silly fun for Halloween. 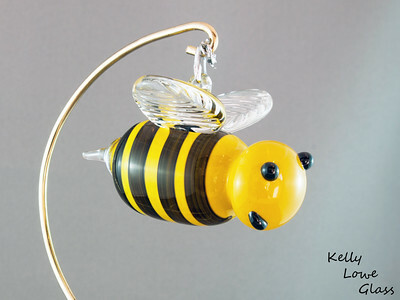 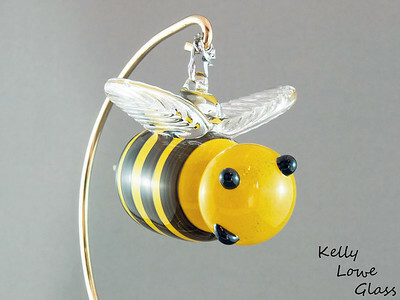 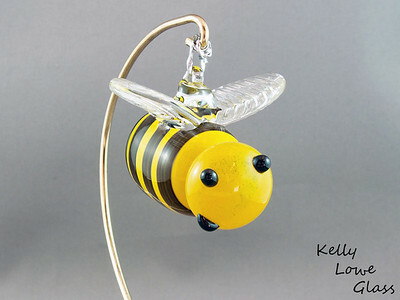 Each piece is individually made by yours truly, Kelly Lowe, in my Hamilton Ontario shop. 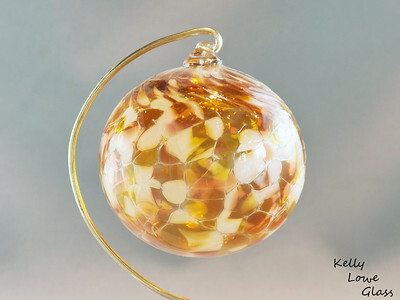 If you'd like to return to my main Holidays and Special Occasions page, click HERE (link opens in a new window). 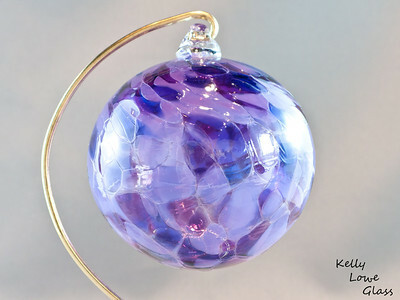 Package of Four Hand Blown Christmas Ornaments: Perfect as a gift for your loved ones or as an indulgence for yourself and your tree, these bundles of four Christmas Balls are the the same ornaments I sell separately, only with a fancy box and bow. 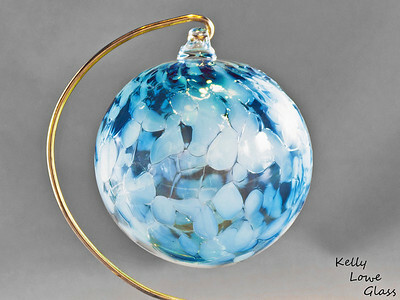 Each ball is hand blown from molten glass by yours truly, and are guaranteed to add something special to this year's decorations. 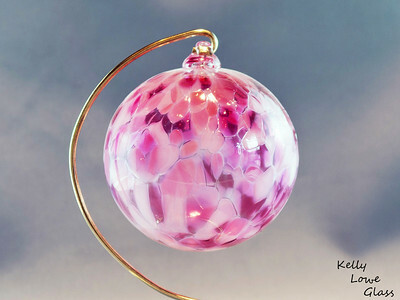 These boxes can be individually made to your taste: if you'd like four pink ornaments, by all means we can do that, and that goes for any other colours I make as well. 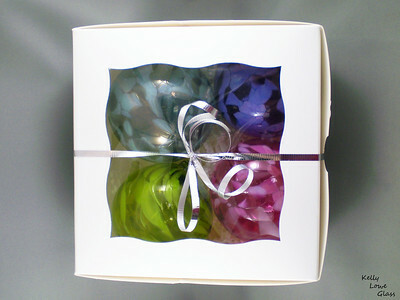 The box pictured here contains a random assortment of colours. 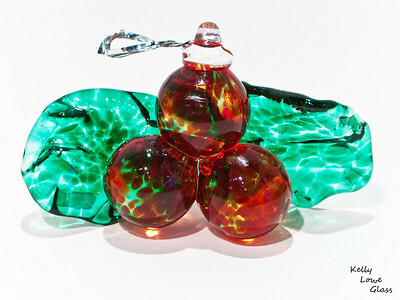 Each box is labelled as containing only fully handmade blown glass pieces. 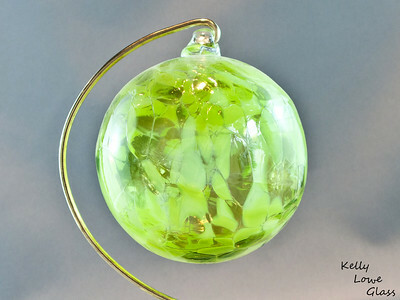 Hanging Glass Holly: Never wilting, fading or poisoning the cat, this hand sculpted glass holly has all sorts of advantages! 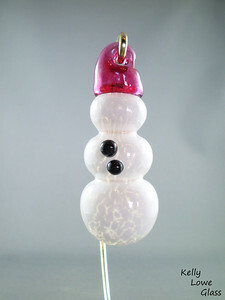 Width: Approx 11cm (3.35") Height: Approx 6cm (2.35") Depth: Approx 4.5cm (1.75") Weight: Approx 125g. 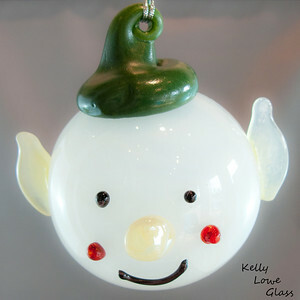 Holiday Elf Head: Gathered with the utmost of care (the elves barely feel a thing, and you can't imagine how much higher they can jump without their ungainly noggins weighing them down) these elf heads are there to remind you of a simpler time, when elves banged together toys in Santa's workshop and sang all inclusive songs of festive cheer and joy. 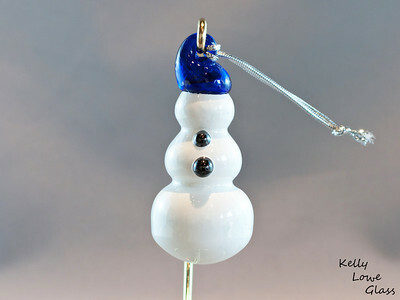 Also there was a duck there, but he's not important to this story. 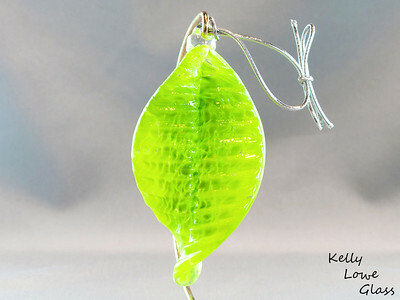 Width: Approx 12cm (4.75") Height: Approx 12cm (4.75") Front to Back: Approx 10cm (4") Weight: Approx 310g.